Paul Mulshine takes apart the Railway Engineer, while The Washington Post debunks "green" jobs. There are too many signs to conclude other than that the tide is turning. It will take some time, but the strength is draining from the global warming scam. We are moving into the end game. When so much is happening, across the board, it can have a galvanic effect, but it can also induce a sort of paralysis. No sooner do you sit down to write something profound about one issue, then another one claims your attention – the focus on the one then distracts from the other. Four core issues, all of great interest to this blog, are all building to a crescendo simultaneously. First of all, there is the situation in Afghanistan, which I have sadly neglected, having temporarily abandoned Defence of the Realm to concentrate on climate change. What might surprise some people though, is how closely these two issues are linked, the one dependent on the other. I have been working on an essay exploring the connections – and they are not pretty. The common factor is India – the elephant in the room. Also, there is the defence equipment side, something to which I have paid very great attention in the past. Sadly, I have also neglected that as well, but nothing improves. Today, I had this drawn to my attention - the continued use of the Vector in Afghanistan, dubbed the "coffin on wheels", despite assurances from the Army and the MoD that it would be withdrawn. Military "toys" is of course a specialist issue which has many readers diving for cover – which is why I eventually set up a separate blog to cover it. But doing that also tends to dilute the political implications. Defence equipment, like so many things, is primarily a political issue – far more so than it is a technical matter. And in the history of the Vector is a story of political incompetence on a grand scale which has cost a great deal of money and, sadly, a number of lives. Specifically, it is one of the many issues which has revealed the incompetence of the opposition defence team and the select committee system. They are there, after all, to hold the government to account, and in this they manifestly failed. But, because it involves technical issues and is cast in the "toys" bracket, it is ignored by the political claque, simply because they fail to see the point and are too idle to try and understand what is involved. Much the same applies to climate change, the second of my "obsessions". Although ostensibly a scientific issue, overlaid with elements of many different academic disciplines, this is primarily political. Yet the political claque retreat behind the science and allow so-called scientists to usurp their role, for want of engaging properly with the underlying themes. Thus, we have the Booker column today – the whole piece devoted to a review of the "story so far", a fundamentally political story, but it is consigned to its usual place in the "ghetto" and ignored by the political claque. And alongside that is a piece in The Sunday Times by Jonathan Leake. This is on hurricanes and it was supposed to be in the print copy today. However, the earthquake in Chile – and a lesser story on polar bears displaced it and, currently, it appears only online. Once again, ostensibly, this is a scientific story – a reinterpretation of the data on hurricane frequency which concludes that, despite the IPCC predictions, there are no grounds for asserting that global warming will lead to an increase in their frequency – although a marginal increase in intensity might be experienced. As a simple scientific treatise, the paper which reports this is unremarkable. Yet the political implications are colossal – or would be if Leake's story had been properly projected. No more than anything, hurricane frequency has been the poster child of the warmists, featuring prominently on the front page of Gore's Inconvenient Truth and paraded incessantly as "evidence" of global warming. 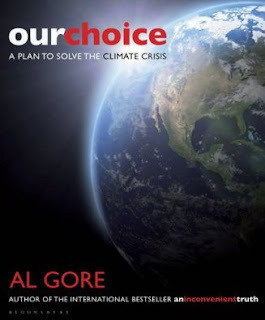 The cover of Gore's newest book, Our Choice, even depicts an artist's impression of a world beset by a series of huge super-hurricanes as a warning of what might happen if carbon emissions continue to rise. Yet what is so remarkable is that the paper was commissioned by the World Meteorological Organisation (WMO), one of the two sponsors of the IPCC. Taken with the news that UNEP, the co-sponsor, is calling for an investigation into the IPCC, and we begin perhaps to see an attempt to roll back the global warming scare and return to sanity. It is early days but sometimes straws in the wind are accurate portents. This brings me to the third "obsession" – if you can call it that – the forthcoming general election and in particular the state of the Tory party. Today, after assuming the false mantle of the patriot, Cameron tells us the Conservative Party is the "new environmental party." Thus, just as the whole global warming scare begins to unravel, he affirms his attachment to an increasingly discredited religion. That, in many ways, seems to sum up the Boy. Completely out of touch in his little self-referential bubble, in front of his adoring masses in Brighton, he will come away with the idea that he is reaching out to the people. But, of course, this is delusional. The polls say otherwise. And in probably two month's time, the people will cast their verdict. It does not look promising for the Boy. Part of his demise, we would assert, is die to his performance on the post-Lisbon EU referendum, this and the EU in general being the fourth "obsession". As with defence, I have been neglecting this, in favour of coverage on climate change. But there is method in my madness there. So closely is the EU linked with climate change that, to destroy the myth of the latter is irretrievably to damage the EU. But, it seems, the EU is actually doing a good job on its own account. In more leisured days, we might have written a long analysis of the current state of play, and the institutional tensions building up – documented in part by Bruno Waterfield in this piece. For those very few nerds, who actually know something about the institutional architecture of the EU, there is emerging an unintended conflict between the Commission and the European Council, the Lisbon Treaty having created two rival centres of power, which are now battling it out. Monnet would be turning in his grave. Such arcane issues, however, are guaranteed turn-off to the average reader and one is thus advised not to dwell on them. We thus sweep past them, leaving me with the conundrum of what to write about. Too many issues ... too much to do ... paralysis has set in. 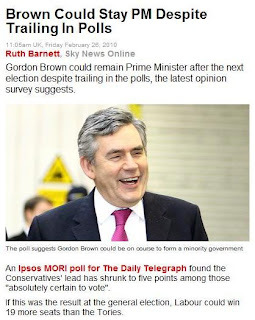 With the latest poll crashing to a two percent lead - the smallest YouGov have recorded since the election-that-never-was back in 2007 - David Cameron is to tell the faithful in Brighton: "My patriotic duty is to get rid of Brown and sort out his mess". That is according to The Daily Mail. But what was that about patriotism being the last refuge of the scoundrel? This is the man who sold us out on his EU referendum pledge – hedged with weasel words as it was. And he has the nerve to talk about "patriotic duty"? And, in nearly 400 comments on another Mail piece, where Cameron tells us its "make your mind up time", it seems an awful lot of people have indeed made up theirs. At a rough estimate, more than 90 percent are hostile. Again and again, there is reference to the referendum. If that is any guide, it has done Cameron far more damage than even I anticipated. Then we have The Sunday Times which tells us that this is "a big moment for David Cameron and for the country." 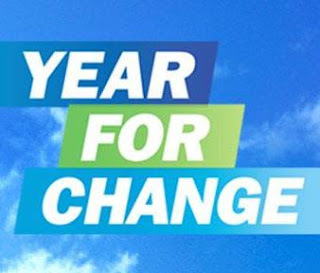 Today the Conservative leader will stand up and address his party's spring conference under the slogan, "Vote for change". It occurs that, should Cameron lose this election, the Conservative Party will change its leader. Vote for change? I'll go for that. James Hansen talks sense. The "grandfather of global warming", dismisses Cap-and-Trade plan as ineffectual, comparing it with the Iraqi "oil for food" scam. Key parts of Cap-and-Trade have a "corruption" warning written all over them in red flashing lights, because they are to be run by the United Nations, he says. You really can't argue with that. Over £11 million of British taxpayers' cash has been paid or pledged to Dr Rajendra Pachauri's institute, The Energy and Resources Institute (TERI), while he has been chair of the Intergovernmental Panel on Climate Change. This comprises over £1 million in direct payments over the last five years and £10 million to come from DFID over the next five. Direct cash payments have been made by the Foreign and Commonwealth Office, which has given Dr Pachauri's TERI £441,000. £134,000 came from DEFRA and £269,000 from DFID – totalling £844,000. In addition, TERI shared £167,000 with Sussex University for a project funded by DECC and another £73,000 for the same project, funded by DEFRA, plus it shared in a £4 million research initiative funded by the UK's Engineering and Physical Sciences Research Council (EPSRC). Although the exact amounts paid to TERI in the shared projects are not specified, the institute was a major partner in the £240,000 Sussex University-led projects which, with the EPSRC money, would bring the overall total received to more than £1 million in cash already paid in the last five years. The details emerged from a parliamentary question asked by Ann Winterton MP. She was told that the direct payments to TERI included £120,000 for developing an energy security policy for India and £76,000 for the design of renewable energy credit system for India. These were funded by the FCO. 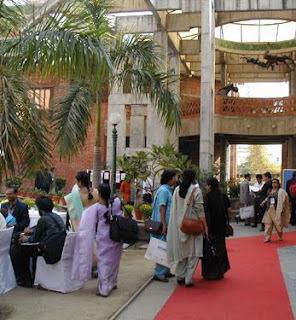 Defra funded three conferences jointly organised by TERI in its luxurious New Delhi offices (pictured), spending £46,000 to cover forests and climate change and £88,000 on three "summits" on sustainable development. DFID supported two more sustainable development conferences, paying TERI £71,000 in 2008 and 2009. The 2008 conference received £31,000 but this was also supported by the Rockefeller Foundation, which paid $200,000 towards the costs as well. It also emerged that the British government paid £14.5 million in the last five years to the Energy and Energy Efficiency Partnership (REEP), of which TERI is the Asian representative, supplying office space in its own Delhi headquarters and the secretariat. REEP also acts as a "funding vehicle", supporting research projects undertaken by its members, with an average value of €100,000. TERI has worked on at least two of these in the last five years. The £11 million of British funding is in addition to the share of €56 million for participation in 17 EU-funded projects (partly paid by the UK), €7.5 million pledged by the Norwegian government, nearly €1 million paid or pledged by the Finnish government, and $1 million pledged by the Australian government. Other funders include institutions such as the World Bank and commercial companies, such as the oil company BP, which is funding a $9.4 million project to grow Jatropha for biofuel in three districts of Andhra Pradesh. Additionally, Pachauri himself is estimated to earn about $800,000 annually in direct fees for his services, which he claims are paid to his institute. Having started with a £500,000 grant from Tata in 1974, TERI is one of the largest indigenous Indian NGOs, with assets estimated to be worth £40 million. The British taxpayer can be proud that it has helped in a small way to make Dr Pachauri's institute such a success. The woman pictured is a professor of global governance and co-director of LSE Global Governance at the London School of Economics. 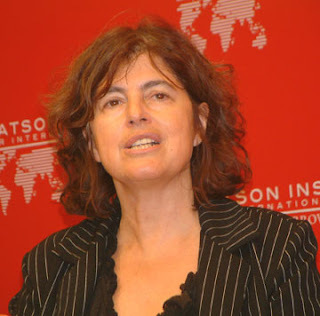 Her name is Mary Kaldor and despite her elevated position and title, she is stupid. We know this. No one gets to that position and remains that ignorant unless they are seriously stupid. Unfortunately for the rest of us, The Guardian chooses to give Mary Kaldor an outlet through which to display her stupidity – thereby conferring on her more gravitas than she deserves – even the little conveyed by this dismal rag. Thus we get this stupid woman, under the heading, "The EU needs to return to its roots", telling us via the strap line, "Europe has spent too long besieged by regulation culture and market obsession, forgetting its original purpose: peace." Her golden words then tell us that the world needs something like the European Union. It needs a global actor, she says, ready to take the initiative on climate change. It needs a polity underpinned by a powerful economy that can push for new global financial arrangements. And it needs political leaders able to articulate and act upon an alternative to the war on terror. Getting to the root of what she then believes is the cause of its failure to achieve all these great things, she asserts – rightly – that, from the beginning, the EU was a peace project. It was designed, initially, after Europe's great "civil war", to prevent another war on European soil and later to overcome the cold war divide. But, she tells us – again rightly - the method chosen, known as the Monnet method (after one of the founders, Jean Monnet) was to bring Europe together through economic integration, through policies adopted by the political elite rather than through public debate. As a result, she continues, to a younger generation, who did not experience the world wars or the cold war, the European Union appears not as a peace project but as a neoliberal bureaucracy, a fundamentalist market project. Then we get the stupidity writ large. "Somehow, popular support for the EU needs to be remobilised," she writes. "It is perhaps the only way out of the current global crisis now that it is becoming clear how difficult it is for the US president, Barack Obama, to act decisively." Forget the bit about Obama acting "decisively" – we can only cope with so much stupidity in one sitting – concentrate on her staggering assertion that, "Somehow, popular support for the EU needs to be remobilised." The whole point, of course, it that the EU never has had popular support and, if it had needed to rely on it – as we saw with the French and Dutch referendums on the EU constitution – it would never have come into being. And it was precisely because such an undemocratic construct – the aim of which is the destruction of nation states – would never have got public support, that Monnet adopted the strategy of economic integration, as a mechanism for achieving political integration, disguising the aim and pretending that the only objective was economic. Thus, the state of the European Union is no accident. It has not gone off the rails – it is what it is because that is what it was designed to be. But, as the political integration agenda becomes more obvious, it is meeting with ever-increasing resistance from the very peoples who would never have approved of it in the first place, had they known what was to come. But, says la Kaldor: "Of course there need to be new, more democratic, structures. There should be an elected president, for example." Then she tells us, "there ought to be a family of taxes at a European level that would allow the EU to develop a degree of autonomy – carbon taxes, for example, or taxes on international speculation." With the perspicacity that only truly stupid people can achieve, she then adds: "these can only be achieved through political pressure." You don't say! Needless to say, her innate stupidity re-asserts itself as she concludes with a stunning non-sequitur. "And that means that the EU has to reconstruct itself as a peace (and green) project instead of a fundamentalist market project," she writes. However, we would love to see it try. I would give it five years before it collapsed. One used to enjoy the periodic rants from Simon Heffer, especially when they are directed at the putative chancellor, little Georgie Osborne – although the constant repetition is now getting a little tedious. Nevertheless, amongst the many sins which Heffer lays at the door of this political dwarf is his timorous approach to public expenditure cuts, the only firm commitment being to shave a mere billion from the total, even when Heffer identifies £72 billion being spent under the category "other" expenditure. Heffer, though – like so many who brand themselves "political commentators" - seems to have as narrow a vision as the very politicians of whom he is so scornful. He is locked into a somewhat outdated paradigm where he sees government spending as representing sum of the costs imposed on us, primarily though taxation. He and his ilk do not yet seem to understand that some of the most damaging raids on the private purse are coming not through government expenditure financed from taxation, per se. Increasingly, it is coming through government directed expenditure which is extracted in devious ways via goods and services for which we must pay. Here, then, is a serious blind spot. In terms of private wealth, what matters is disposable income, the amount of discretionary spending left after tax and other essential costs have been deducted. In terms, it makes no practical difference whether those deductions come as taxation – direct or indirect – or other imposts. Should Heffer have understood and recognised this, his "rant" in today's newspaper could have gained considerably more power. He could, for instance, have pointed out that the Conservatives are not only pathetic in their lack of commitment in reining back government expenditure but that the parliamentary party enthusiastically backed the imposition of an extra £4 billion in costs last Wednesday, though its support of carbon capture and storage. 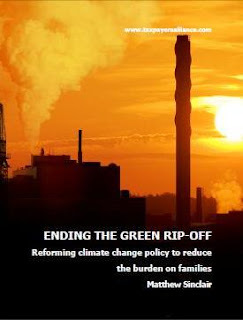 This £4 billion is but one tiny part of the avalanche of the "green" Danegeld which is coming our way, building on the Taxpayers' Alliance estimate in its recent report (pictured) of £26.4 billion in green taxes and regulations that we were forced to pay, net of road spending, in 2008-09. Of that, just over £1 billion was spent on the Renewables Obligation (£1,036,170,245) – up from £873,870,190 the previous year – mainly to finance the scourge of windmills that is disfiguring our countryside. Should the government succeed in reaching its wind generation targets, we have estimated that we are looking at an extra £6 billion a year, implementing a policy which again the Conservative Party also enthusiastically endorses. To that can be added the £2.9 billion extracted from consumers' wallets and purses via the EU's Emissions Trading Scheme – a sum that is expected to double in the forthcoming year – and about £0.9 billion on landfill tax. These costs (not taxes) are wholly unnecessary. Far from adding anything to the economy, they reduce our efficiency and competitiveness as a nation, with knock-on effects as we price ourselves out of business, competing against low-cost producers such as China and India, which are not similarly burdened. Throughout this political cycle, however – picking up on a phrase popularised by Blair – commentators have been quick to condemn governments for their lack of "joined-up" policies. But those self-same commentators are stuck in their own little pigeonholes. Thus we get political pundits doing "politics" and environment correspondents doing "climate change", with a whole raft of specialists doing their own things – the European Union amongst them. No one seems to be able to put them all together and look at the big picture. Worst of all though, the political commentators tend to regard themselves as the crème de la crème and, having lost sight of what politics is all about, increasingly constrain their own horizons to the trivia and tat of domestic party politics. Alarmingly, when these pundits do venture out of their narrow, claustrophobic field – as Brogan did recently - they are immediately out of their depth and most often make fools of themselves. However, real politics is what real people are concerned with and, sooner or later, the self-appointed journalistic élites are going to have to climb down off their high horses and re-learn the art of joined-up commentary. Failing that, they will go the same way as the increasingly irrelevant politicians on whom they expend so much energy. Not on our beat, but a new blog looking at the downstream effect of police crime targets – and other injustices. Well written, and stark. Yesterday's post on carbon capture and storage (CCS) provoked a worrisome e-mail drawing attention to a piece in the Canada Free Press, the headline of which declares: "Geologic Carbon Storage Can NEVER Work, says new US study." The study, in fact, is not that new - it was first aired in October 2009, by two Texan petroleum engineers, professors Christine and Michael Economides. But the findings are unequivocal and damning. Reservoir volume required to store CO2 has been vastly under-estimated and far more hugely expensive injection wells will be needed than has been anticipated. One study, of course, cannot be taken as the last word on such a complex subject, but a wider review of the issue yields remarkably little more information. What does emerge, however, is a commentary from Imperial College, which seems to offer some support for these claims. One key aspect of CO2 storage that has been largely ignored to date, we are told, is the issue of injection rate into the subsurface. A typical 1GW coal-fired power plant produces 20,000 tons of CO2 per day, which must be injected into an aquifer at this daily rate for decades. In two ongoing CO2 storage demonstration projects, we also learn, it has proved impossible to inject CO2 at the predicted rate without exceeding the fracture pressure of the aquifer formation. Conversely, each injection well costs millions of dollars and has an environmental impact on the surface so it is not acceptable to drill too many wells. Further problems arise in salt water aquifers where there is competition between salt precipitation and carbonate dissolution. Precisely what happens over the long term is not known. But there are some fears that, as volume of CO2 injected increases, injecting even more could get harder (and more expensive) rather than easier. It could even be the case that the energy required to pump the CO2 exceeds that of the power station producing it. 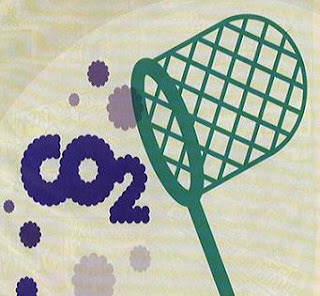 Michael Economides explores his own paper, produced with "the smarter Economides", his wife, in another article, where he calls CO2 sequestration a "fantasy". In yet another, he argues that, just to service the CO2 output of a 500 MW power plant – producing about 3 million tons per year – the reservoir needed would be enormous, the size of a small US state. For those reasons, we are told that geologic sequestration of CO2 is "a profoundly non-feasible option for the management of CO2 emissions". And Economides is now trying to save the state of Wyoming from wasting a mere $45 million on CCS research. There is no need to research this subject any longer, he writes. Let's try something else. ... there are no plants operating at the scale that we are proposing in our CCS arrangements for this country. There are plants operating at a pilot scale and there are research plants in other parts of the country, but there are no known commercially viable plants operating at the scale that we propose. 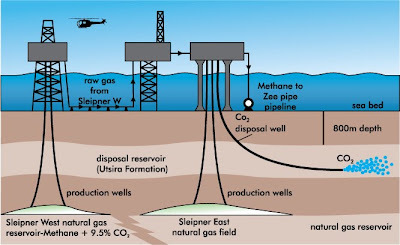 The only thing close is the Norwegian Sleipner project (schematic pictured), pumping just short of a million tons a year of CO2, separated from the natural gas extracted from the offshore field, into a saline aquifer. However, Ruddock thinks that the results achieved in Norway, "enable us to say with confidence that we know that the storage end of the chain seems to be practicable." This is despite the system injecting only three times the amount in a month what a 1GW plant will have to sequester in one day. There is a huge gap here, which Economides argues cannot be filled. Greenpeace, on the other hand – which is opposed to the idea of CCS - argues that the reservoir is not immune from leakage and that it is impossible to predict the movement of injected CO2, which is already behaving in an unpredicted fashion. Reading the Commons debate, therefore, was a disturbing experience, not least for the gung-ho attitude of all the speakers, and the constant reference to "consensus" about the need for CCS. Where one might at least expect some caution from the Conservative opposition, we instead get Charles Hendry, the shadow energy minister. He wants the programme speeded up, to give the UK a technological lead. This sentiment is shared by the chairman of the environmental audit committee, Conservative (in name only) MP Tim Yeo. He complained to The Guardian that the government's approach had "too often been characterised by indecision, jeopardising Britain's chances of building a commercially valuable competitive advantage in this field." Seemingly, he is unaware of the "valuable competitive advantage" we are giving India. This is where it is getting extremely worrying. Already, we have been spending tens of millions on research projects, which have since expanded into hundreds of millions. Now we are now moving into a phase where the research is set to cost us billions. Each of the four demonstration projects proposed by the government will have a price tag of at least £1 billion, money which we are going to have to pay through our electricity bills. The ball park figure may even be an under-estimate. The sequestration module alone for the Sleipner project cost €350 million. On top of a gas field, with the infrastructure already there, that project represents only a fraction of what a land-based project might cost - not least to fund an expensive pipeline transport network. Terrifyingly, there seems no mechanism for stopping this madness, with the UK committed to retrofitting the technology to all (then) existing coal-fired power stations by 2025 – if there are any left. Money desperately needed to maintain and extend our electricity capacity is literally being pumped down holes in the ground and even that, most likely, is not going to work. Generations to come are going to look upon this madness with the same puzzlement that we currently reserve for the medieval enthusiasm for burning witches, asking how it is supposedly rational people could be so easily led astray. Even in the here and now, that is not an easy question to answer. Highly significant – without any doubt – is the news that Pachauri has cancelled a high-profile speaking engagement in the United States (the blog reporting this having some delicious comments of its own). This comes on the back of a report in WSJ and Earth Times on major changes afoot in the IPCC. Whether this is simply damage limitation, with cosmetic changes being made, or there is something more profound going on, is difficult to judge. My guess is that we've damaged the IPCC far more than they are admitting openly, and there is some real heart-searching going on. However, quick and dirty knee-jerk comment is often wrong – as I have found to my cost, all too often. I'm going to read around this one, and think about it, coming up with a more considered post over the weekend. Meanwhile, it looks as if I've been outed (see page 11). I'd better crawl back under my stone and hide. Sky News is by no means alone amongst the media pundits suggesting that the Cameron experiment is about to crash and burn, his party not even being the largest in the next parliament. This is, of course, just fluff based on a run of bad polls. The election campaign has yet formally to begin and, as we are constantly reminded, a week is a long time in politics. Anything can happen. However, prediction in politics is as much a black art as it is a science. Reading the mood and "gut instinct" has as much to play as does the number-crunching and all the rest. As a "player" who campaigned in both the 1997 elections – as a candidate for the Referendum Party – in the 2001 elections, as an agent for UKIP, running a troika of candidates, and in the 2005 elections for the Tories, alongside a sitting MP, I was well-placed to read the mood music in each. And in each, the result was predictable, and I – with millions of others – called the result correctly. This election is different. There is, as I have recorded many times, a different mood abroad. But there is also a sullenness, indifference and occasionally anger, at the whole political process. And with all the confounding factors, of which there are too many to explore in a short post, the outcome of this coming contest is unreadable. One thing I know for sure. Never in my adult life have I ever loathed a challenger with such intensity. I have disliked politicians, distrusted them – even hated them. But never have I loathed an individual so much as I do Cameron that I feel physically ill watching him on television or hearing his voice. In that, I know I am not alone. How much that will be a factor in the coming election is impossible to say. But the polls seem to reinforce the mood and the "gut instinct" – Cameron isn't cutting it. He may drag a narrow "victory" out of the election – just as he did with the euros, with ten percent of the popular vote. But it will not be a mandate. Politics has become a strange and ugly place. We are perhaps seeing history made, the like of which few alive in England have seen before. Close to the mood of the public, that is what the Daily Express is telling its readers – with some panache, putting their injunction on the front page. 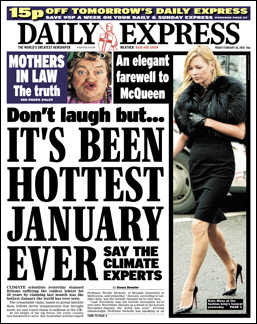 Our dedicated band of climate "scientists" have a real problem here, as the paper declares that they "stunned" Britons suffering the coldest winter for 30 years by claiming last month was the hottest January the world has ever seen. The legend is conveyed to us by Australian "weather expert" professor Neville Nicholls, of Monash University in Melbourne. He is cited as saying: "January, according to satellite data, was the hottest January we've ever seen." He adds: "It's not warming the same everywhere but it is really quite challenging to find places that haven't warmed in the past 50 years." But we also get UK forecaster Jonathan Powell, of Positive Weather Solutions. He tells us: "If it is the case and it is borne out that January was the hottest on record, it is still no marker towards climate change." Powell then adds: "It's all part of a cyclical issue and nothing should be read too deeply into that." He continues: "It's been the coldest for 30 years in Britain but we predicted that and climate change always tends to throw up anomalies. It's all in line with predictions and I won't be sold on climate change at all. The data is (sic) either faulty or manufactured to make it look like it shouldn't." There is, of course, no question about the latter assertion. The "global" temperature is manufactured. It isn't real. All it represents is a particular value from a particular set of heavily adjusted temperature measurements, assembled using questionable and less than transparent methodology. The flaws in the whole concept were pointed out by none other than James Hansen, and now the absurdity is being revisited, with predictable results. Given what has been made of it though, tears rather than laughter are perhaps more appropriate. So desperate is the EU commission to pursue its fantasy of "carbon capture and storage" (CCS) for coal-fired power stations that it is conjuring money out of thin air to kick-start the scheme – a cool €3.9 billion. Needless to say, though, there is no such thing as a free euro. The bill will eventually have to be picked up by electricity consumers throughout the EU. The magic trick being pulled off by the commission is to issue 300 million carbon "allowances", supposedly from a reserve stock, and to give them – entirely free of charge - to generators who are willing to build CCS demonstration projects. At the current market price of about €13 each, equivalent to one ton of carbon dioxide, the price could increase significantly if the price rises. Generators who are given the allowances can sell them to other generators who are short of carbon quota, the sums paid being recovered through hidden levies on electricity bills. The first tranche of 200 million will be awarded in 2011, with the remainder issued in 2013, covering up to eight schemes. Provision is also being made to fund experimental renewable energy projects. Contributions from national governments and generators are also expected and, if the Energy Bill currently going through parliament succeeds, four of the projects may be built in Britain, at an estimated cost of up to £1 billion each. As if this wasn't sufficient madness, the Tory and Lib-Dim oppositions ganged up on the government this week, demanding mandatory emission caps on coal-fired plants – sufficiently restrictive to ensure that no generator could continue in business. Even this government had the sense to realise quite how mad the opposition proposal was, using its majority to defeat an amendment to the Bill. But the vote was a close-run thing, slashing the in-built 57-strong majority to just eight. There really is a special kind of madness infecting this current batch of MPs, in what is contemptuously referred to as the "rotten parliament" – one which seems oblivious to the consequences of its actions and is determined to saddle the British public with unaffordable costs, all to pursue its obsession with global warming. But, if that madness is afflicting MPs, it has spread to the media as well. Although it can get worked up about the EU paying £200,000 for a propaganda comic, the idea that the EU commission can, effectively, write a cheque for €3.9 billion and give it to generators so that they can bury their flue gasses in the ground, seems wholly unworthy of comment. And nor does the madness stop there. Only this week, the European Investment Bank (EIB) announced that it hoped to lend at least €20 billion to fund climate change initiatives during the forthcoming year. This is up from the almost €17 billion that was lent in 2009, itself a 73 percent increase on 2008 when €9.8 billion was handed out. The Bank now prides itself on having "delivered" on its promise to make the fight against climate change one of its priorities in 2009. Of the €16.9 billion lent, the highest category of lending was for renewable energy projects, which received €4.2 billion, split mainly between solar projects and windmills. For energy efficiency €1.5 billion was lent, R&D for cleaner transport got€4.7 billion and urban transport improvements got €5.5 billion. There is, of course, a major opportunity cost to pay here, as money directed at these valueless schemes cannot be lent to enterprises engaged in more productive and necessary schemes – like building urgently needed conventional power stations. And just to put the cap on the madness, the British government announced yesterday that is was offering grants of up to £30m to encourage Mitsubishi to invest £100m in the first phase of a wind power research programme. Apart from anything else, one wonders why this is necessary as the EU is already contributing €14.6 million to a €22.6 million research project on the design of advanced windmills, called UPWIND. It is not due to finish until February next year. When madness grips, though, sense and reason goes out the window – together with huge amounts of our money. And such is the scale of the madness that no one seems to know nor care. 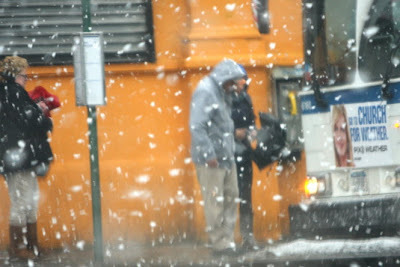 The global warming began falling in Staten Island NY at 8 am their time (five hours behind the UK). By the time it has finished, perhaps by tomorrow morning, 12-14 inches may have accumulated, whipped up by strong winds, possibly gusting to hurricane force. Not under any conceivable circumstances however, are the warmists prepared to concede that this – or the exceptionally hard winter throughout the northern hemisphere – in any way affects their beliefs. Instead, we hear tell that climate scientists must do more to work out how exceptionally cold winters or a dip in world temperatures fit their theories of global warming if they are to persuade an increasingly sceptical public. And there lies a brilliant illustration of exactly where the so-called science has gone completely off the rails. The mindset is focused on trying to make "inconvenient truths" fit the hypothesis, rather than evaluating the new conditions to see if they refute it. This mindset is further betrayed by the egregious Kevin Trenberth, head of the Climate Analysis Section at the US National Center for Atmospheric Research. As to why global temperatures have not matched a peak set in 1998, or in 2005, his view is that there could be a failure to account for rapid warming in parts of the Arctic, where sea ice had melted, and where there were fewer monitoring stations. In other words, Trenberth is unable to accept evidence of cooling. It must be an artefact – the result of an incomplete monitoring network. There is no place to go with this kind of distorted logic. It comes from the same wellspring as Dr Judith Curry, who believes that the rise in scepticism stems from a failure of the "climate community" to communicate effectively. This line, it seems, is very much the preferred alibi of failed doctrines. We heard exactly that from former Tory leader Michael Howard, after the Tory trouncing at the 2004 Euro elections. We are hearing very much the same from Cameron's Conservatives, to explain their lacklustre performance in the polls. And we hear it constantly from the European Union, as the "people of Europe" fail to love it. Trenberth says, viz à viz the "non cooling" that we (the warmists) need better analysis of what's going on, so that "everyone, politicians and the general public, are informed about our current understanding of what is happening." Furthermore, he wants more statements in a much quicker fashion instead of waiting for another six years for the next IPCC report. He, like so many others, in so many disparate fields, fails to understand that it is the quality of the message, not the volume and speed with which it is delivered, which eventually prevails. The plight of the Mongolian population, which is struggling through one of the worst winters in living memory, has at last been officially recognised. According to The Guardian - the only newspaper so far to record the event – the UN has launched a $4m appeal to clear up livestock killed by the big freeze in the country. Rather than give money directly, creating a dependency culture, nomads are to be paid to collect and bury the carcases of animals killed by the cold, with a view to preventing disease and soil contamination. The appeal comes after officials in Mongolia have declared more than half of the impoverished country a disaster area. 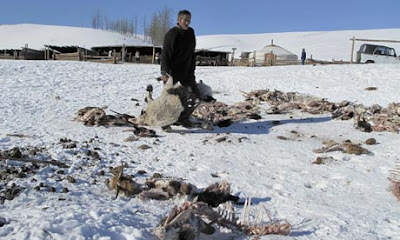 So far, at least 2.5 million livestock have perished after weeks of persistent snow and temperatures below minus 50°C. On current government estimates, three million more animals will die before the cold weather ends in June and the total economic losses so far are put at $62 million. Nearly two-thirds of the country has been buried under eight to 16 inches of hard-frozen snow, making grazing impossible for the country's herds of cows, yaks, goats, sheep, horses and camels. As we have already noted, the slow response to this disaster – which has been completely ignored by UK charities - contrasts unfavourably with the concern shown by Oxfam for supposed climate change-related problems in the region. One might have thought, therefore, that some alarm might be expressed about how charities dedicated to humanitarian relief are allowing their obsession with global warming to detract from their core mission. That, however, does not seem to have occurred to Greg Clark, Conservative shadow secretary for energy and climate change. Recently addressing the National Council for Voluntary Organisations (NCVO) annual conference, he told delegates that all organisations must make climate change central to their operations. Charities have an important role to play in "humanising" climate change and showing the public how it is affecting populations, he said, acknowledging that campaigning and advocacy as a crucial role for charities dealing with climate change. He wants charities to take a lead role in raising awareness of climate issues. More than content to see efforts thus diverted, Clark was evidently unconcerned at the modest amounts being directed to major disasters such as that affecting Mongolia, heedless of the billions being expended on climate change, much of it totally wasted. Even a fraction of the amount spent by the UK government on carbon credits to keep civil servants warm would resolve the immediate problems in Mongolia, and perhaps help keep some children alive. However, such is the mood of the age that we must learn to live with a new aphorism, that "charity begins with climate change". The likes of Greg Clark would obviously agree. So, the chief political correspondent for The Daily Telegraph, Benedict Brogan, has woken up to the idea that, "Labour has pushed us to the brink of a blackout". It might have been better, though, if he had been writing this sort of thing a few years ago, as were we, on numerous occasions, when there was still some prospect of doing something to stave off the electricity crisis that faces us. More damning, Brogan tells us that, "The Tories must rescue Britain's energy policy after years of dangerous neglect," seemingly blissfully unaware of the poverty of the Tories' energy strategy. Dominated by wishful greenie mantras, Dave's idea of a policy is set to turn a crisis into disaster. That said, we cannot fault Brogan's peroration, where he declares that, "Unless the next government takes rapid, decisive and far-sighted action, the result will be catastrophic." The problem lies in his failure to recognise that, if the Tories get anywhere near "government", the last thing we can expect is "rapid, decisive and far-sighted action." Evidence of that (not that much is needed) comes from Channel 4 News which claims to have seen a copy of the as yet unpublished Tory energy policy. From that, it learns that a central plank of their "thinking" is to ramp up micro-generation, from the current administration's 1.6 percent to a massive 15 percent by 2020. Thus, to fill the energy gap, the Tories intend to rely on electricity produced by individuals and communities from rooftop windmills and water turbines, solar panels and boilers fuelled by wood chips. The idea is so ludicrous that one struggles to believe that any adult, much less a political party, could even contemplate it. 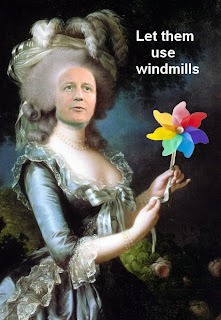 But then we need to learn that, when it comes to crass stupidity, nothing is beyond Dave's Conservatives. With more patience than I could muster, professor Dieter Helm takes them on, pointing out – rather charitably – that "individual householders becoming little generation plants and selling power back into the system is a wonderfully attractive and seductive idea." But, says Helm, it is extremely expensive because it is unreliable and would need to be backed up by more conventional power sources. "There is no free lunch when it comes to the energy sector," he adds, noting that: "When you generate your own electricity, someone else has to buy it. In the end, other customers pay. Decentralisation is not cost-effective." This raises a devastatingly obvious issue. To incentivise local production, the current feed-in tariff is roughly twice that of the retail cost of electricity. Those able to afford the expensive generation equipment can sell their electricity and then, effectively, buy it back at half price. On the other hand, those who can't afford this option, like the six million or so on prepaid meters who are already paying over the top for their electricity, will have to pay even more. And this is what passes for Conservative policy? With this, the Tories seem intent on demolishing the last, vestigial reason for voting for them at the election. No matter how bad Cameron is, some of the more candid say, he cannot be worse than Gordon Brown. If this is what the Boy has to offer, then we are looking at the very real possibility that he will be even worse than Brown. "We're winning and they're losing"
In an interesting development in the ongoing saga of global warming - tell that to the Americans today when their "snow hurricane" hits them - Steve McIntyre has a novel perspective on the similarities between the "Climategate and Enron. We are getting to the stage, though, where the whole climate charade is unravelling before our very eyes at a speed almost too fast to follow, leaving Real Climate railing against the "collapse" of journalistic standards. That, in itself is highly indicative. We hear nothing about the constant diet of lurid scare stories in the media, but when The Guardian - of all papers - "sins" by offering semi-critical pieces, it gets a full broadside. Criticism, however, is not confined to this obscure and ill-tempered blog. Tilts at journalists are one thing both warmists and sceptics have in common, even if UK media comment is still relatively muted. For sure, we've had The Times pick up on the Met Office story about it wanting to revamp the temperature database, a story that Watts up with that? had a day earlier, after it was covered by Fox News. We've also had Geoffrey Lean doing a bit of reporting instead of pontificating – which has to be a first. He is telling us that our favourite stage villain, Dr R K Pachauri, is facing his critics in Bali tonight – the environmental ministers of the member states who make up the UNFCCC. According to Lean, he will try to save his job and shore up support for the IPCC in the wake of the discovery of "errors" (note the plural) in its latest report. We could almost write the script – the familiar mixture of bravado and bluster, combined with a pathological refusal to accept any personal responsibility. Pachauri will get away with it, if only because there is actually no mechanism for dismissing him as yet. But, despite the overt expressions of support, he is a grievously wounded animal. And, would that he knew it, there is a ticking time-bomb which is set to do him still more damage. Although my piece on Euros for Rajendra has gained no great traction over here, it was in fact intended for a different audience. Much of Pachauri's power base comes from developing countries, where he is perceived as their champion – but the suggestion that he has sold himself to the Europeans for a mess of euros is potentially very dangerous to him. The bomb has been planted. UN Sec-Gen Ban Ki-moon is also trying to hold the line, although his pleas seem to have an air of desperation about them. That he is calling for the sceptic message to be rejected is simply to acknowledge its power. That an extra meeting if the UNFCC is also now being scheduled, to be held in Bonn between 9-11 April can also be taken as a sign of desperation. This dire provincial city – one time capital of West Germany before reunification, is not the place for inspiration. That apart, one only has to look at the explosion of news over on Climate Depot to see that the issue has finally come alive in the States. Some Americans have been observing that it is the British media which has been making the running – and indeed it has until recently – but now the US media are taking over. But what is very different is that the issue there has acquired a political dimension. With the EPA endangerment hearing in the Senate, EPA administrator Lisa Jackson is being skewered, with her and Senator Boxer – chair of the powerful Environment and Public Works Committee – being forced to distance themselves from the IPCC. Sen Inhofe's intervention has also been especially pointed, calling for criminal investigations of the scientists involved in "Climategate". His interview, this time is sure-footed, and his focus on Gore and his "science fiction" is nicely barbed. "We're winning and they're losing," he concludes. Whatever the view of Inhofe, at least the Americans have a political champion, which is more than can be said this side of the Atlantic where, as the election approaches, all the main opposition players are keeping their heads down, a tactical error which has been noticed. The same can be said for the main political blogs. Uncomfortable with real issues, they are slavishly following the personality politics agenda set by the MSM. As for carving their own niche, there is little to choose between them and their MSM political commentator counterparts. Nonetheless, there is some good writing and astute comment, with Bishop Hill keeping the British flag flying, as probably the premier sceptic blog this side of the Atlantic. But some of the smaller blogs are also standard bearers, putting the "big hitter" (by UK standards) political blogs to shame. There is Purple Scorpion, with a piece on more carbon nonsense, one of several posts on the issue, then there is Wittering from Witney, a dissenting voice from the home of Boy Dave, An Englishman's Castle and a fine piece by Autonomous Mind. From India, Liberty News Central is always worth a read. Nothing though, can beat Ban Ki-Moon's latest comment – if only for its comedic value. The same global resolve, he tells us, is needed to fight organized crime as with terrorism. This is from the organisation that brought us the Iraqi "food for oil" scandal and which has one of the biggest organised crimes of the century under its own wing – the IPCC. 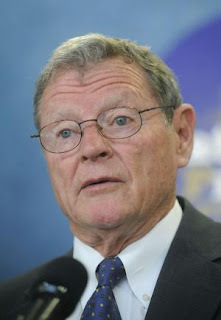 Inhofe is right. "We're winning and they're losing." Luce Jacovella (pictured) is a very important person in British politics. Based in London, she is at the hub of an international network, working with a multi-million budget on developing aspects of policy which will decide the actions of our next government. They will have significant effects on our lives and most likely cost taxpayers and businesses hundreds of millions. Yet Luce will never stand for election. She is not a politician. She does not work for any political party. She is not even a civil servant. She is not even British. Dr Jacovella is an academic, a trained project manager who took her PhD studies at Florence University, in the country where she was born. 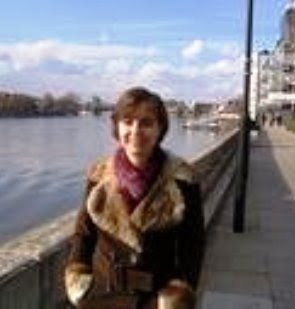 Her specialism is agricultural science but she now works for the European Research and Development Office (ERDO) at the University College London. She qualified in 2000 and has been at ERDO since 2004, where she assisted in the project management of two large EU funded projects led by UCL. One was EUROLIMPACS, a €19 million, five-year extravaganza of which the EU paid €12.6 million. This was to evaluate the impacts of climate change on "European freshwater ecosystems" and it finished last year. The second was I-IMAS, a completely unrelated project worth a mere €3.17 million on "intelligent imaging sensors", which finished in 2007. Having cut her teeth on these two, Dr Jacovella is now project manager for naother EU-funded project - REFRESH. It started this month and is set to last four years at a cost of €10.02 million, with the EU contributing €7 million. Once again, it is climate change related, focussing on: "Adaptive strategies to mitigate the impacts of climate change on European freshwater ecosystems." Now the point is that REFRESH, like EUROLIMPACS before it – the pair costing the best part of €30 million – is not an academic study. Its objectives are political, executed by a multi-national team. They will feed into the policy maw in Brussels where they will be used to guide and shape amendments to the Water Framework Directive, the Habitats Directive and sundry others. In due course, the core findings will be incorporated into a number of "COM finals" and be incorporated into the text of several proposed amendment directives. Being "environment", they will be approved by qualified majority voting – perhaps with some amendments by the EU parliament. Once finalised, their requirements will be transposed, unaltered, into UK law, almost certainly by Statutory Instrument, which cannot be changed and will be approved – as it must be - by Parliament, without a vote. In terms of input to these new laws, Dr Jacovella will have far more influence – albeit as one of a huge, international team of academics – than any MP, minister, secretary of state or even the prime minister of the day. When we were still an independent country, it was not like this. If it was felt that the law need changing in such an important area – with the considerable economic and administrative consequences that it might involve – all sorts of procedures could apply. Crucially, the process would be initiated by our government, which would retain control of the process throughout. Possibly, in the early stages, it might have set up a working party, or refer the matter to a Royal Commission. If research was needed, it would be commissioned, the terms of reference decided by the government and the reports fed into the system. Should, by whatever means it be decided that new law was required, this could well be announced in the Queen's Speech. That would be debated. A White Paper might then be produced, which most often would be debated. A Bill would be prepared. Through all the stages it would be scrutinised and debated, and only approved after a number of votes. Nothing would happen without the full approval and control of Parliament. Then, if it was controversial, failed to work or needed further amendment, it could be changed – or even repealed. Such an option might even find its way into party manifestos. All this we have now lost. Policy-making is no longer the province of our government. Our political parties are not involved - so nothing ever goes on the manifestos. Our MPs are brought in only after the procedures are completed when nothing can be changed, to rubber-stamp something in which they have no input and over which they have no control. Instead, the procedure, repeated hundreds of times, across dozens of policy areas - starts with an international team of "scientists", paid for partly by us as taxpayers. But they feed a system in Brussels to which they are responsible. Academia has been bought and paid-for by the EU and is more part of the policy-making process than our own legislators. It is not working for us – it is working for the enemy. Delingpole over on his blog tells us that it's "time to get angry" over global warming. And if you needed any more reasons than you have already, then the story in The Register is a good place to start. There, we learn that DECC, the fatuous department of climate change has spent £361,700 in the last 12 months on search keywords such as "climate change" and "global warming" to target Google users with government publicity urging them to cut their carbon emissions. The Energy Saving Trust, meanwhile, had spent more than £270,000 on similar advertising in the last 12 months, with the two agencies bidding against each other for the key slots, thus driving up the cost to the taxpayer. Personally, I don't know whether I should be angrier at the stupidity of government agencies, or the fact that another £600,000-plus of our money has been wasted the climate change propaganda effort. The trouble with Delingpole's nostrum though is that anger needs to be directed, focused and then discharged at a suitable target, to achieve a specific effect. Cue Gerald Warner writing in his blog about Dave's rather spectacular collapse in the opinion poll ratings, last seen giving him a mere six percent lead over Labour. Here indeed is directed anger, aimed at the very target where, collectively, we have the capability to do real damage. For it is Dave who has within his capability, should his party win at the next election, to put a stop to this waste – and to the entire charade of climate change. But he will not and, for that, we need to make him suffer. The Tory claque, on the other hand, tell us that if we don't vote for Dave, then we get another five years of Labour, under the leadership of Gordon Brown. But, in many areas, not least climate change, to say nothing of our rule from Brussels, this will make not the slightest bit of difference. Thus, a change of face is not enough of a reason to vote Tory – we want something more than that, and so far a man wedded to personality politics has not been able to deliver. If he can't do that before an election, then the chances of him doing it when he is safely ensconced in Downing Street is nil. It is better to keep the Tories out until they get their acts together. What we are talking about, of course, is policy – and here we have a real problem. Not only have the Tories a notable dearth of policies with which to inspire the voters, they have lost the capability to produce them. This loss of capability, in fact, they share with the government, a secret that the whole of the political class is at pains to conceal. It is not for nothing, therefore, that all sides prefer personality politics, a genre with which many of their hangers-on are more comfortable as well – saving them the hard work of having to address difficult issues and come up with solutions. It is there that the secret must come out. This, I have been mulling over for some time – and explains, in part, the lateness of this post today. When this blog started, nearly six years ago, it consisted largely of "copy and paste" drawn from the media. Gradually, that gave way to less "copy" and increasing amounts of comment and analysis. As time went on, occasionally, we introduced our own original stories, together with ever-increasing levels of comment and analysis, informed by but not following the media agenda. Currently, we have developed to the state where we have almost completely cast adrift from the popular media, developing our own agenda, with original material occupying a larger part of our output. Increasingly, therefore – often without realising, and rarely acknowledging it - the media are following our agenda. And there lies the rub. Transcending all the sectoral issues which we have aired on this blog is a single, over-arching issue – the failure of politics. And for those of you who need reminding, at the heart of politics is policies – the words share the same root. I am thus minded - at least in the run-up to the election – to focus on this area, trying to get to the bottom of why we are in such a mess, and why as a nation we seem incapable of getting out of it. Getting angry is not enough. Since our masters have lost the ability, it is up to us to think our way out of that mess. 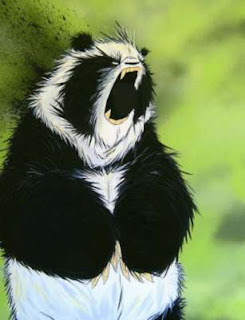 Then we get really angry. Britain's waning influence at the United Nations is set to dwindle even further with the departure of the last remaining British official in the upper echelons of the world body. Sir John Holmes, the UN humanitarian chief, has told The Times that he plans to step down later this year in a move that could leave Britain with no representation among top officials at UN headquarters. And the reason we are still in the UN at all is? Since taking the chair of the IPCC in 2002, Rajendra Pachauri's own personal research institute, The Energy and Resources Institute (TERI), has enjoyed a multi-million-euro bonanza from EU-funded research projects. Having led the institute from 1982, in the 20 years before he assumed the IPCC chair, only four EU projects had been awarded. Since then, the institute in seven years has shared in 19 projects worth over €58 million. For many of them, TERI had no obvious expertise or physical presence. The rush of EU funding to Pachauri's institute – which insiders speak of producing "low quality research" – invites suspicion that the EU is seeking to influence the IPPC chair in favour of the European climate change agenda, ensuring he pulls his punches when it comes to supporting developing countries, including his native India, while wrong-footing the United States. Pachauri, on the other hand – in so readily accepting millions of euros from the EU for his institute - lays himself open to the accusation of being a pawn of the Europeans, concerned more with promoting his own financial interests than impartially representing the international community. On the face of it, the facts are damning. Virtually unknown in the West until he became IPCC chair, Dr Rajendra Pachauri's ascension to his elevated position marked a turning point in the fortunes of the institute which he headed as director general. Before he became chair, TERI's pickings had been thin. Between November 1996 and February 2001, the EU supported another of his enterprises, the Asian Energy Institute, to an unknown amount, but the first recorded grant to TERI was in December 1998. It had participated in a four-year project called COASTIN on "Measuring, monitoring and managing sustainability - the coastal dimension". That was managed through an office in Goa rather from the New Delhi corporate offices and it was not until May 2000, after Pachauri had been elected co-chair of the IPCC, that another tranche of EU money was awarded to his institute, PRO-CET, a grant of €125,000 towards the €786,830 needed to host an "OPET-Associate" for the Indian sub-continent and the ASEAN region. This was part of an EU commission initiative called the OPET Network - Organisations for the Promotion of Energy Technologies (OPET) – for which the commission had ambitions of turning into a world-wide network. The funding was only for a year. On 19 April 2002, Pachauri was elected chair of the IPCC and, in July 2002, his institute started a project in the Gurgaon district of Haryana – to the southwest of Delhi, conveniently centred on the TERI Retreat which now boasts a nine-hole golf course, cricket grounds and a badminton green. The project was part of the EU's long-running ASIA-URBS programme, taking the institute's involvement through to May 2004. It was aimed at "improving urban environment through the introduction of sustainability measures in building design", TERI sharing €127,332.50 with its local government partner. The next project was not so long in coming. Named INTEREST, this was worth €650.000 split between six partners, starting on 1 February 2002 and lasting until 31 January 2005 The objective was to "generate tools to support improved ecosystem management for sustainability." In October 2002, TERI then started on PERIURBAN, a study of, "Sustainable settlements in peri-urban areas: with special reference to impacts of transport and energy on natural resources management". With €687,998 shared between six partners, this was the largest yet. 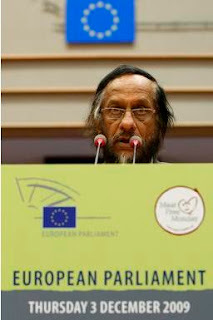 Reflecting his new status as IPCC chair, on 12 November 2002, Pachauri was invited to attend as a panel member a symposium in Brussels on "The International Dimension of the European Research Area". He was the only Indian representative present and indentified as head of TERI. In April 2003, the commission injected more funds into its OPET project, paying €893,374 of its €1,636,910 costs, shared between its 18 – mostly European – member organisations. Nothing much seems to have come of the initiative in the hands of TERI. OPET is now represented in the region only in Malaysia. By June 2003, however, TERI was already sharing with five other partners a €480,155 project called ED-WAVE, developing "a sustainable framework for training in technologies for conservation, reclamation and reuse of natural resources", with special reference to improving water efficiency. Most of this was though was part of the EU's INCO (International co-operation) programme designed to spread money, albeit thinly, around the developing world. But not two years after Pachauri had rocketed to the head of the IPCC, his institute joined the mainstream. He was invited to Brussels to speak at s symposium on "EC Global Change Research: International Partnership" alongside research commissioner Philippe Busquin. Organised by the European Commission, this was held at the Academy Palace of Sciences and Arts on 6-7 May 2004. There were to be many more such events. A sign of the changed status came when TERI was nominated as a partner in stage three of an ongoing research project called NEU-CO2. Starting in September 2004 and lasting for two years, TERI's task was to assist in setting up the systems to monitor the manufacture of synthetic materials and chemical products, e.g. plastics, paints, solvents, lubricants and bitumen, as these were considered to contribute substantially to CO2 emissions. For this endeavour, Pachauri's institute shared in the fairly modest €289,656 pot paid-for by the EU. But greater riches were to come. The next project for TERI started in March 2005. Called TBT IMPACTS and lasting until February 2009, it was co-ordinated by TERI under the leadership of Dr Sangeeta Sonak, with a budget of €799,841. The task, from the offices in land-locked New Delhi, included an assessment of current policy concerns and developments with regards to the ban on using organotin compounds in antifouling paints and an assessment of their environmental impacts. The project was also to develop a simple biomonitoring system to regulate TBT impacts and help implementation of legislation. With that in the bag, between November 2005 to the end of January 2006, TERI was again a project leader, this time under the direction of Ms Ritu Mathur, in GAINS-ASIA. This brought together "state-of-the-art disciplinary models on air pollution and climate change to assess technical and market based policies that maximize synergies and benefits between these policy areas." The pot here was a much improved €1,161,102 – the first million-plus project in which TERI has been involved - of which the EU paid €695,000. As project leader, TERI's percentage would have been significant. Now the big money beckoned. Although a curiously specific European affair, TERI was invited to take part in ADAM a huge project on "Adaptation and Mitigation Strategies: supporting European climate policy." Starting in March 2006 and running to the end of July 2009, working alongside multiple partners including the University of East Anglia – led by Mike Hulme – TERI took a part-share in the €18,197,000 pot. The EU paid €12,905,000. This was followed in short order on 1 April 2006 by T@W, a project on the promotion of sustainable energy technology in the emerging Emission Trading Scheme (ETS) markets in EU and CDM markets in Asia. Scheduled to finish in March 2008, the project cost was €1.24 million, with an EU component of €979,516.00. By now, the EU was taking a keen interest in Dr Pachauri, part-sponsoring (alongside the UK's DFID) a conference in Delhi on "Adaptation to climate variability and change", organised by TERI. Ms. Soledad Blanco, Director International Affairs, European Commission (Directorate General for Environment), gave the "welcome address". Then, when the EU commission wanted work carried out in Africa, TERI was chosen, despite having no presence on the continent. This was COMPETE, a "Competence Platform on Energy Crop and Agroforestry Systems for Arid and Semi-arid Ecosystems - Africa". The project started in January 2007 and finished at the end of December last year. Its objective was "to stimulate bioenergy implementation in arid and semi-arid regions in Africa." TERI took a share of the €1,497,000 paid by the EU. Such was the flow of work that, for the first time, Pachuari's institute was in that January starting another EU project simultaneously. This was EUCAARI, due for completion in December this year, at an overall cost of €15,025,634 – for which the EU has budgeted €9,999,627. Entitled "a European integrated project on aerosol cloud, climate and air quality interactions" this was also – at first sight – a European affair. But it included "key players" from third countries, of which TERI was fortunate to be regarded as one, enabling it to work alongside the University of East Anglia, School of Environmental Sciences, under the leadership of professor Simon Clegg. Meanwhile, on the 8th and 9th February 2007, as a sign of the closer relationship, the EU commission launched its "1st EU-India Strategic Science and Technology Workshop," on the theme: "Climate change research needs". Conveniently, the event, co-organised by DG-Research, was held at the TERI office location and inaugurated by the Commissioner for Research, Janez Potočnik. Now fully engaged on the launch of his IPCC report, and then attending to collect the Nobel prize on behalf of the IPCC, Pachauri had less time to devote to EU affairs. Nevertheless, there was time for SHAPES: small hydro action for the promotion of efficient solutions – "facilitating and strengthening the co-operation between EU Small Hydropower (SHP) Research and Market actors". That started on 1 December 2007 and ended on 30 November 2009. The cost was €833,299 and the EU paid €749,969. In September 2008, TERI started another project, one called SAFEWIND. A highly technical project ending on 31 August 2012, this involves: "Multi-scale data assimilation, advanced wind modelling and forecasting with emphasis on extreme weather situations for a secure large-scale wind power integration." TERI is not known for its prowess in "advanced wind modelling" – especially in European scenarios where the project is centred. But that has not stopped it becoming a partner, sharing in the French co-ordinated work which will yield €5,581,859, of which €3,992,400 will be donated by the EU. Only months later, on 1 January 2009, another major project started, in which TERI was a partner. This was CLIMATECOST ending in August 2011 at a cost of €4.61 million of which the EU was paying €3.5 million. Led by the Oxford Office of the Stockholm Environment Institute, TERI was to contribute to determining the "full costs of climate change". That coincided with the start of ISSOWAMA - "Integrated Sustainable Solid Waste Management in Asia". Requiring, "Networking and preparatory action in view of developing cost-effective, environmentally-safe waste treatment technologies and services adapted to the needs of developing countries, within a targeted life cycle approach", TERI was to share €1,278,698, the EU providing €989,523 for the 30 month duration of the project. The University of East Anglia cropped up in yet another EU-funded project in which TERI also partnered. That one was called RESPONSES, dealing with: "European responses to climate change: deep emissions reductions and mainstreaming of mitigation and adaptation." Again a largely European affair funded from the main research budget, it started on an unspecified date in 2009 with TERI sharing a pot of €3,149,708. .Also starting in 2009, officially on 1 May, was the now notorious HIGHNOON. It had been set up to study "adaptation to changing water resources availability in northern India with Himalayan glacier retreat and changing monsoon pattern". TERI gets a share of €4.28 million, of which €3.31 million is to be paid by the EU. Then, in September 2009 and ending this coming August, TERI commenced work on SETATWORK, a €1.27 million project with €999,972 of EU funding, aimed at the "thematic promotion of energy efficiency and energy saving technologies in the carbon markets". Also in September 2009, TERI started its involvement in RISKCYCLE, a project charged with defining future R&D requirements "in the field of risk-based management of chemicals and products," with a view to using alternative testing strategies to minimise animal tests. Again, this was not an obvious area of TERI expertise but it nevertheless shares in the three-year project worth €1,206,063 – of which the EU is paying €996,324. Furthermore, support from European countries did not come only via the EU. The Ministry for Foreign Affairs of Finland has been funding TERI to carry out projects on Pollution in India, a project that aims to address some of the questions posed by the "brown cloud" phenomenon. Phased payments for 2004-2006 were € 302,000, phase two from 2007-2009 was € 220,000 and phase three from 2010-2012 is planned to spend € 480,000 – amounting to nearly €1 million. Additionally, the British government in September last year pledged £10 million to TERI – having already funded the institute to the tune of hundreds of thousands of pounds, while the Norwegian government on 13 November last year signed a 60 million Norwegian Kroners (about €7.5 million) contract with TERI. For R K Pachauri, whether man-made global warming exists or not, it has proved very profitable indeed for his institute, not least through the "generosity" of the Europeans who seem only too keen to encourage his ambitions. How green is my golf course? Are the rats deserting the sinking ship? How wrong can they get?